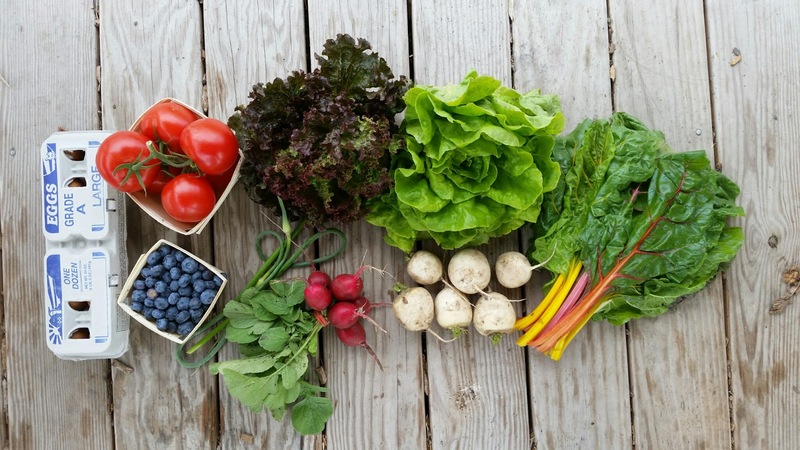 Community-Supported Agriculture (CSA) is a model that is growing in popularity. It provides a direct connection between a customer and farmer, and it’s good for everyone involved. The Farmers (that’s us) get important cash flow at the beginning of the season, and the Shareholders (that’s you) get the best local vegetables, fruit, eggs, meat, and cheese available, a community of like-minded members and a healthy diet. Most of these shares are designed to feed a 3-5 person household, or 1-2 avid cooks and are priced at a bargain. Don’t think you can eat it all? Share it with a friend! It is easy to sign up for our CSA Farm Shares. Once you have decided which Shares you want, simply go to our Registration Form Page and select your payment plan. You will get an immediate confirmation and we will email you a secure, electronic, itemized bill within 2 business days. Please contact us for prorated pricing once the Summer-Fall or Winter-Spring distribution season has started. Are you a student? Are you interested in “sharing a Share”? Do you need financial assistance? We can work something out for you! Just give us a call or email us at info@groundworksfarm.com. 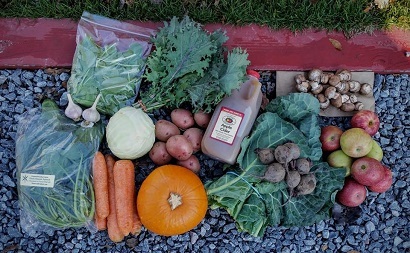 Why Have A Farm Share (AKA CSA Share)? Save Money – Buy your local, organic food for the season up front and pay less for it than at the supermarket. Cook from raw ingredients, they’re less expensive. 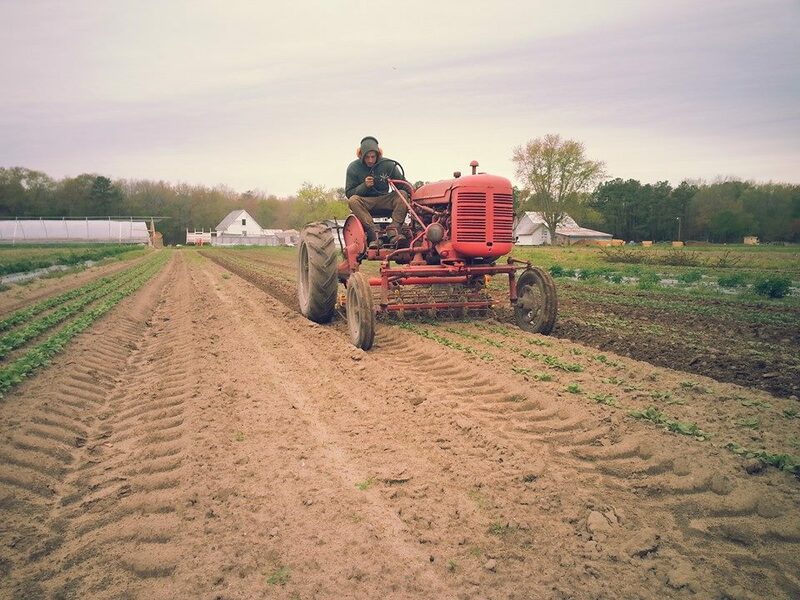 Buy Local – Your support helps small local farms stay afloat and guarantees them a market for their crops. Connect with the food you eat by meeting your farmers and exploring the farm. Eat Well – Buy the freshest food for your family. Explore new foods and learn to use them in your cooking! Relevant recipes and cooking techniques are included in your weekly newsletter. Be Healthy – Eat more fresh vegetables and fruit. Eat meat and eggs packed with nutrients. Share healthy eating habits with your family and expose them to a variety of regional food. Protect Farmland and the Environment – Support farmers who take care of their land by growing food in ways that take care of the soil. Build Community – Meet other Farm Share members during distribution days and potluck events. Share what you’ve cooked on Instagram with the hashtags #Groundworks and #whatididwithmycsashare to help inspire others. Is your produce grown organically? Our produce farm is USDA certified organic. We annually test our vegetable field nutrient levels and use only certified organic compost and other certified organic soil amendments to meet our needs. We use cover-cropping to protect our waterways from nutrient leaching during the winter and to build up soil organic matter. Cover cropping improves our environment and soil health. We “rest” some of our fields every year, growing a cover crop instead of vegetables to avoid pests and build up soil organic matter. We start all our transplanted plants in compost-based germinating mix. We don’t spray herbicides and use only certified organic sprays to contain pests and fungus when necessary. To control weeds we use cultivation tools and straw and wood chip mulches. To control pests and diseases we rotate our crops and use floating row covers. We believe that plant health starts with soil health. Like us, most of our partners are local Certified Organic farms. We also work with some very small local farms who follow our growing practices but have chosen not to seek certification. And, some of our partners practice Integrated Pest Management (IPM). Working with our partners we are able to bring you the best quality and diversity of local fruits and vegetables each season has to offer. Each week Shareholders are greeted with bins full of freshly harvested produce to choose from. The Share is free-choice within limits and averages 8 items of produce at each distribution. We provide an incredible diversity of vegetables and fruits, which changes at each distribution. The Share supplies a household of 3-5 people, or 1-2 avid veggie eaters. Don’t think you can eat it all? Many members share with a friend, switching off weeks or dividing up the Share together each week. What if I can’t make it to a CSA pickup? Not a problem. You can send a friend, family member, colleague or neighbor in your place! If this is not a possibility…Meat and Chicken Shares can be doubled up at the next Meat and Chicken pickup (monthly), Egg Shares can be doubled up at the next Egg Share pickup (weekly), and Cheese Shares can be brought special for you at the next weekly pickup. We just ask that you please email Margaret (margaret@groundworksfarm.com) if you are planning to double up one of these Shares so we can be sure to bring enough. Do you have a question that isn’t answered here? Please email Margaret at info@groundworksfarm.com for the answer!